Each year, the Pantone Color Institute goes through a meticulous process to select its color of the year. That's because the color Pantone chooses is not only decided based on current trends – the hue is a huge trendsetter itself. This year, Pantone's selection team chose a color called Marsala after seeing it used more and more in the worlds of fashion, home decor, and even technology and cars! The color, which takes its name from marsala wine, is an earthy mix of red and brown that Pantone calls "universally appealing." "Marsala enriches our mind, body and soul, exuding confidence and stability," Pantone's Executive Director Leatrice Eiseman says of the wine-colored hue. "Marsala is a subtly seductive shade, one that draws us in to its embracing warmth." Gerberas: Gerberas are characterized by shades of warm orange, red and yellow, but ones in the deep wine color are stunning. Use gerberas in this shade in a fall centerpiece or wedding arrangements. Roses: Deep-red roses are reminiscent of marsala's earthy tones, and would look amazing in a marsala-colored vase. Send a bouquet of romantic red roses to your sweetheart for Valentine's Day this year. Carnations: Carnations come in a multitude of shades that are both deep and vibrant, and marsala-colored red-purple carnations are especially stunning. Put the flowers in individual bud vases on your windowsills or bedside tables. Azaleas: Red azalea plants are perfect for adding a little panache to your gardens, but they also complement terra-cotta-colored flower pots beautifully! Bromeliad: Bromeliad plants are unique, adding a touch of tropical inspiration to any home or garden (they are a relative of the pineapple, after all). Buy a deep-red bromeliad plant in a natural brown bamboo container to keep in your bathroom. Kalanchoe: Kalanchoe plants' petite blooms run the gamut from bright orange and yellow to deeper and more earthy tones, including marsala. Red-flowering kalanchoe plants are great as a garden filler or in teal and turquoise decorative pots. Teleflora can help you send marsala-colored florals as gifts at any time of year, and will even hand-deliver the flowers for you! Marsala works amazingly as a home decor accent color, since it goes so well with taupe, gray and many other warm neutrals that are commonly found in the home. Use the color to add horizontal stripes to an accent wall in your living room, or forgo your blue bathroom accessories for marsala ones this year. The sophisticated shade can be used in almost any aspect of your home decor, such as your window dressings and throw pillows, along with kitchen goods and appliances. Marsala can also be easily integrated into your clothes, makeup and even hair color. Several fashion brands have jumped on the marsala trend already, making it simple to find ties for men, dresses for women and everything in between in the shade. If you're looking to wear the color this year, pair it with black or gray during the winter and beige and white during the spring and summer. The color complements bright pink, teal, bronze, and gold jewelry and accessories. Makeup and beauty brands are using the color in several of their products as well, since it flatters any skin tone, according to Pantone. The hue looks amazing in lipsticks, eye colors or as a deep rosy blush. Does Microwave Drying Flowers for Crafts Work? 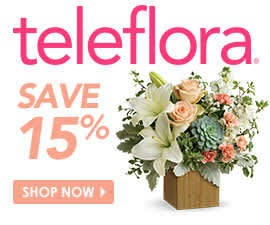 Announcing Teleflora's 'Get a Room' Valentine's Sweepstakes!